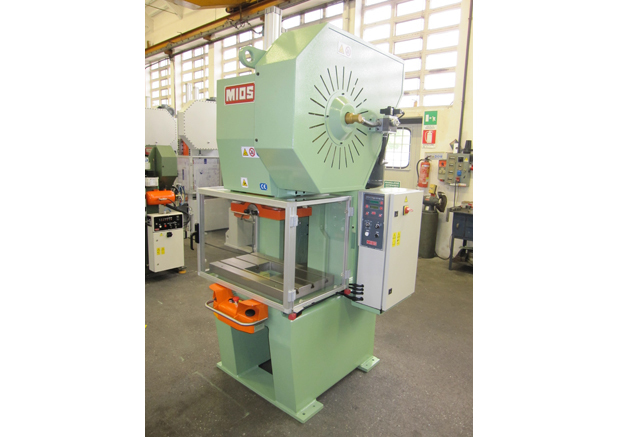 MIOS presses in C-frame construction from 10 till 105 ton. 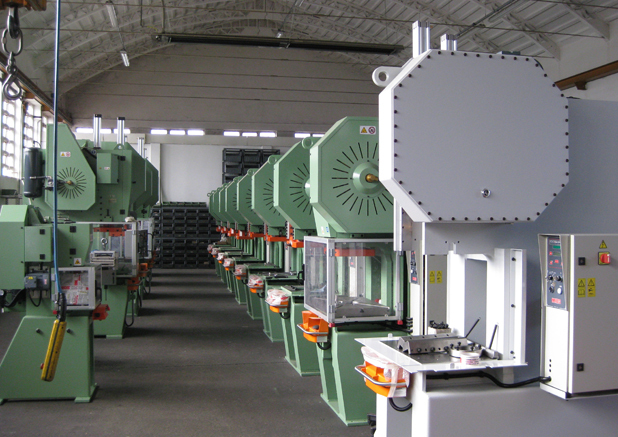 The very solid, accurate finished and welded frames are made of first quality steel, stress relieved before machining. They are filled with “gel” to eliminate vibrations and noises. 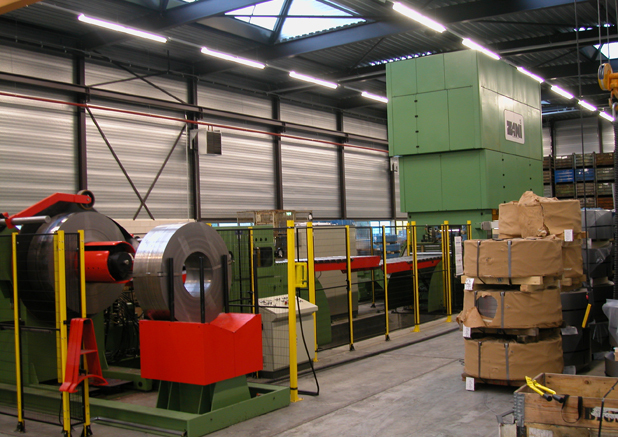 The machines can be used both manual as automatically, for example in combination with coil lines. 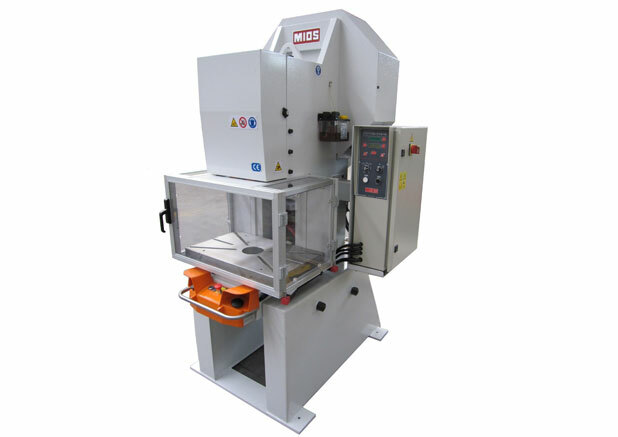 The MIOS presses come with a very user friendly control to manage all press functions. 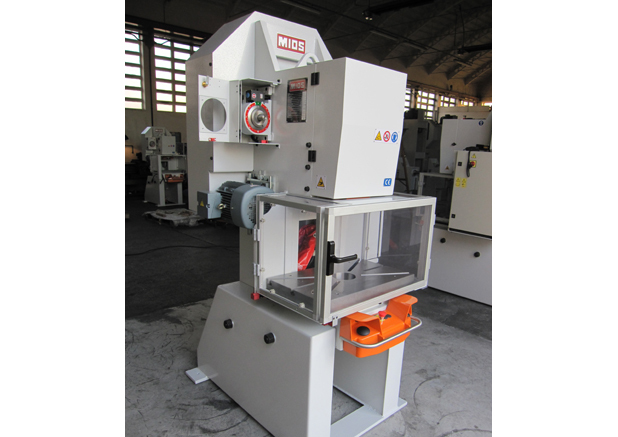 A very reliable, safe, powerful and silent machine with a lot of options available. 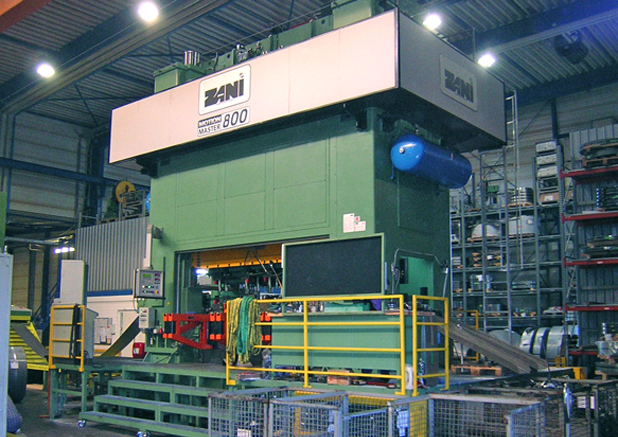 ZANI presses from 1000kN till 30000kN, with 1, 2 or 4 connecting rods. 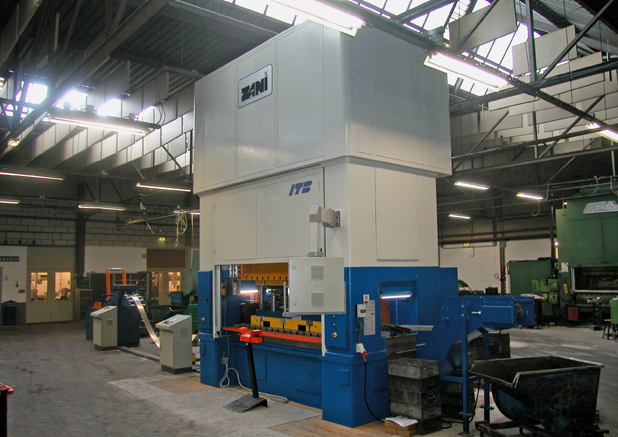 The heavy welded frames are CAD / FEM developed and stress relieved before machining. 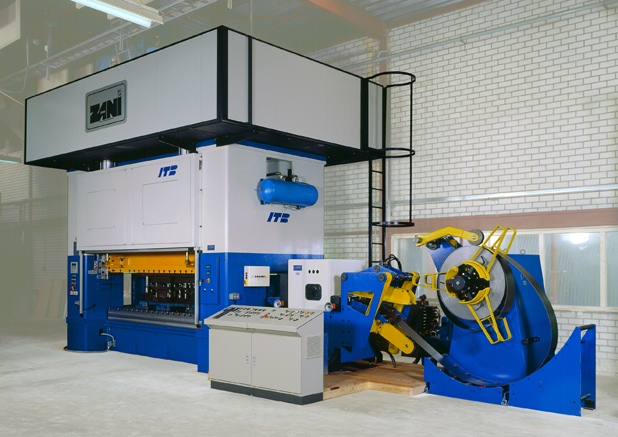 This ensures great strength and correct distribution of flexion and torsion stresses during production. 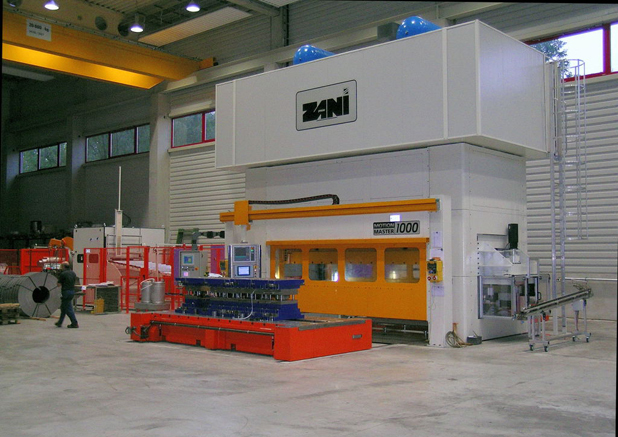 The ZANI presses can be totally adapted to your production needs. 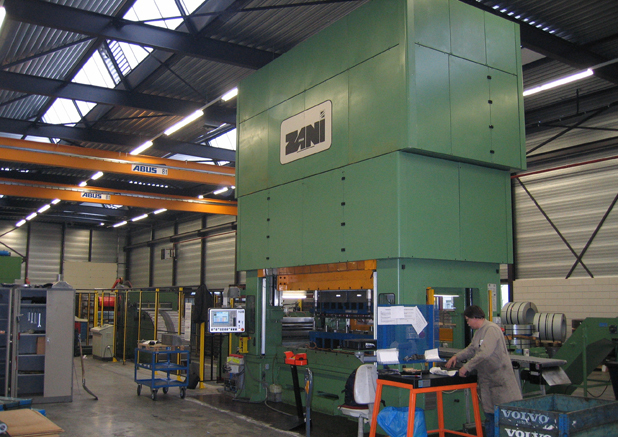 Stabile, flexible and innovation are some of the benefits of a ZANI Motion Master production press. 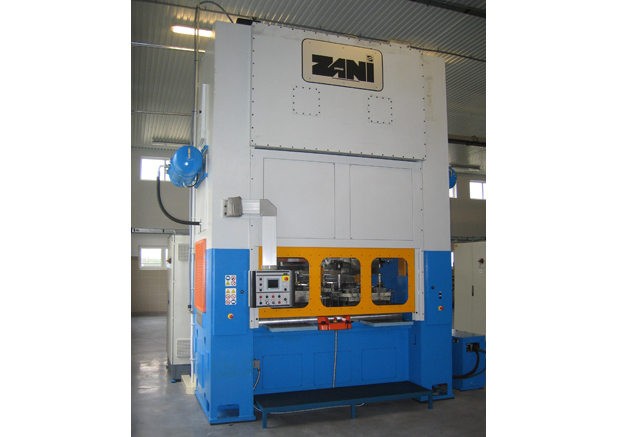 The motion is transmitted to the ram via a combination of toggle levers whose dimensions and angles are designed by Zani engineers for best performances. 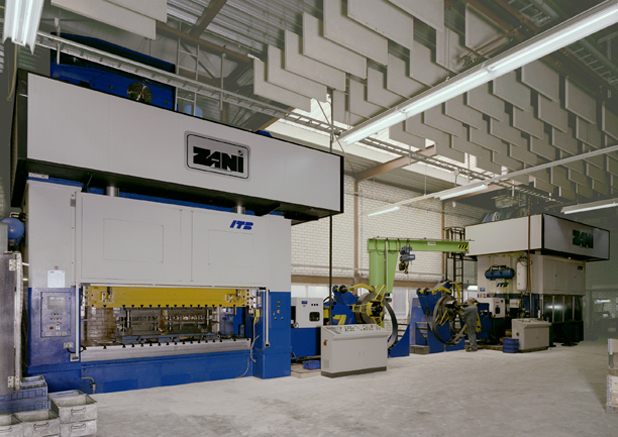 The main future of the ZANI Motion Master drive is represented by the reduction of the RAM speed up to 70-80% at different heights from BDC. 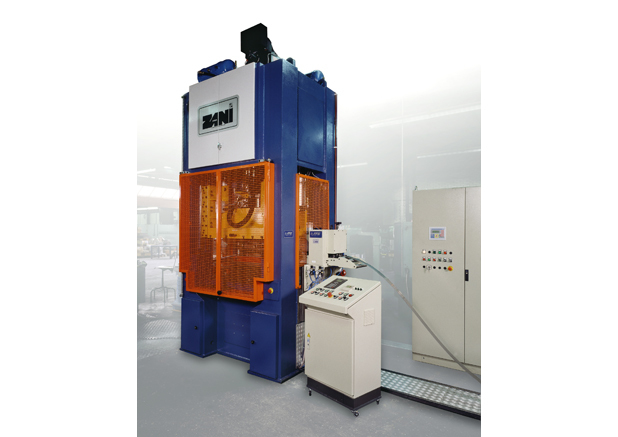 This innovative principle allows to obtain a very high forming process as well as blanking, coining, cutting and drawing quality, with a considerable noise reduction during working cycle. 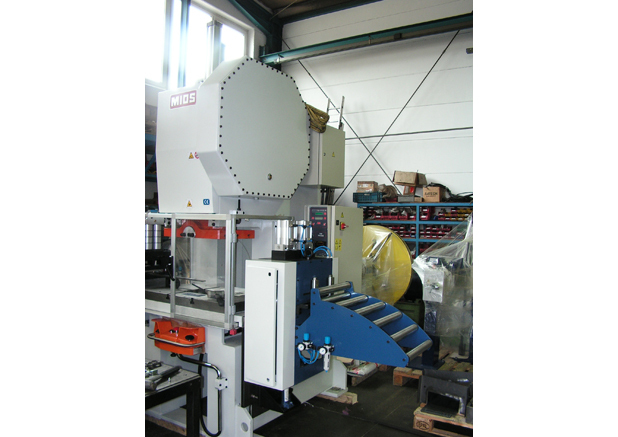 Some benefits; consequent advantage in accuracy, reliability, burr reduction and in tool life. 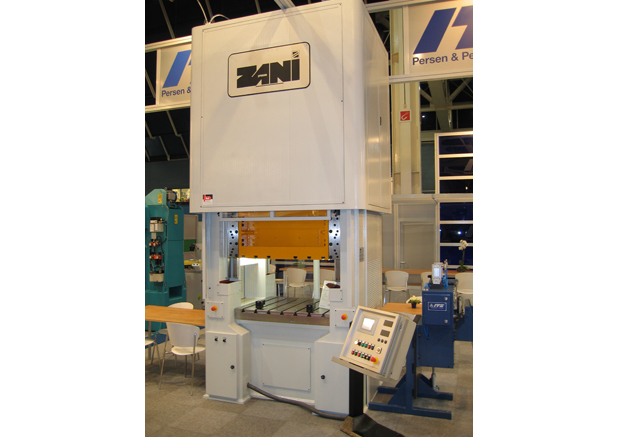 The ZANI Servo Master presses are fully servo driven and are very flexible in use. 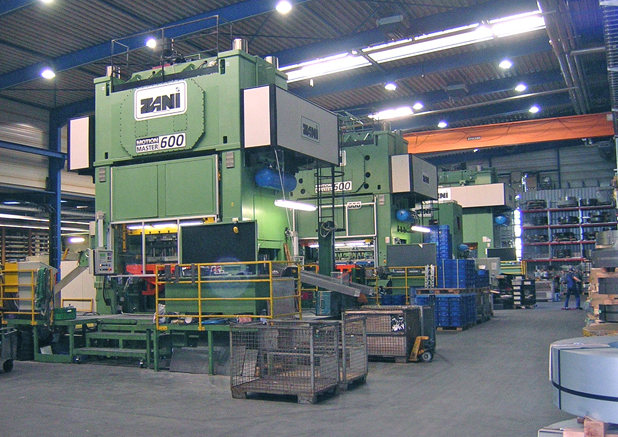 They can be delivered till maximum 3000 ton press power. 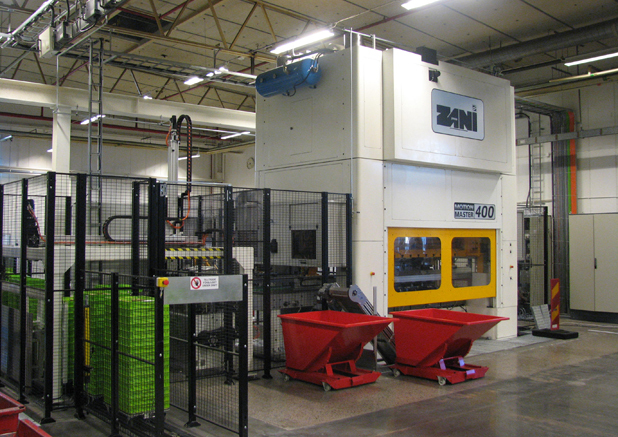 ZANI Hipro Master is characterized by it’s power, speed and stability. 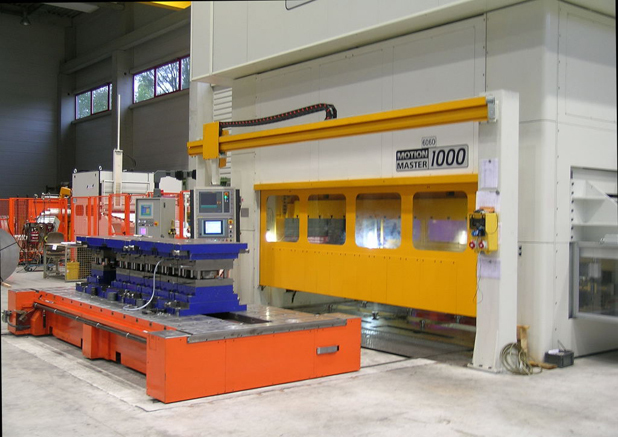 These precision high speed presses are equipped with a dynamic balancing system of the moving parts and pre-tensioned linear roller guides of the RAM. 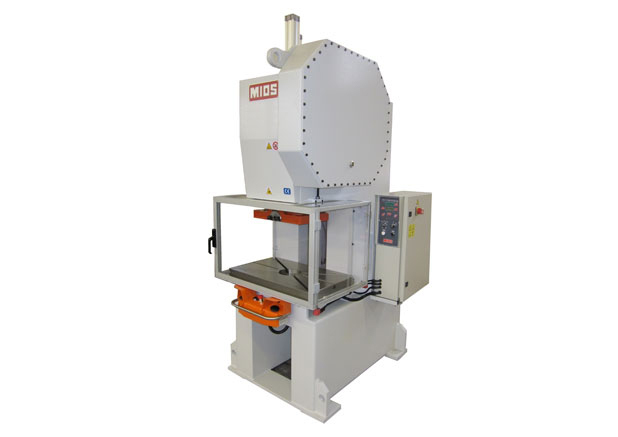 Vibrations are almost completely eliminated. 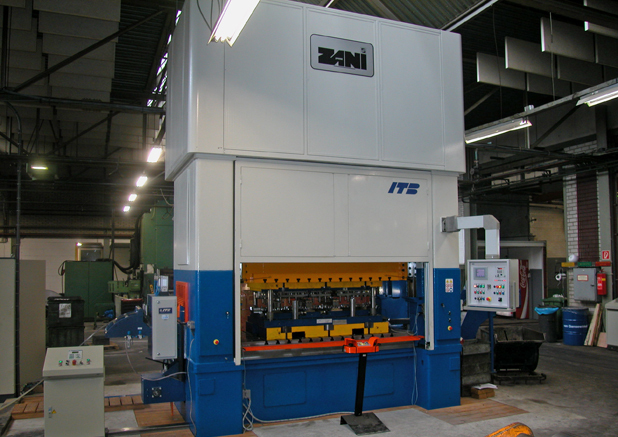 This type of machines are provided with 2 connecting rods.